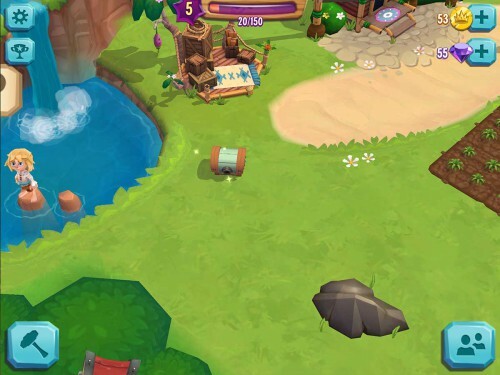 Here you will find numerous Paradise Bay tips, tricks and cheats for Android and iOS. Just the other day we had the app by King presented in full detail. Now in this guide we want to tell you some tips and tricks with which you should progress more quickly, because the waiting times are partly already a bit long. For all beginners of Paradise Bay, we also have some tips for starting present. We’re going to wind up again to the question of a cheat and you’ll find the links to the downloads for Android, iPhone and iPad (iOS). If you know more tips about Paradise Bay, you may also like, please tell us in the comments. Below we present you a number of tips and tricks around Paradise Bay in a guide. We included not only how to start, but also we say something about Wesley’s Export, the Windmill Storage and the Treehouse Storage. Furthermore, we also have a trick for you, so you can skip waiting times without gemstones in this guide. For starting out in Paradise Bay you’ll be welcomed with a relatively detailed tutorial. Here you will learn step by step the most important controls. So you can move objects, you learn how you grow merchandise and how you process these in the production buildings. One tip we can give you in this guide, is to constantly make sure that you place the maximum number of fields. New fields coming at specified level upgrades. You climb up a level when you have collected enough experience points. 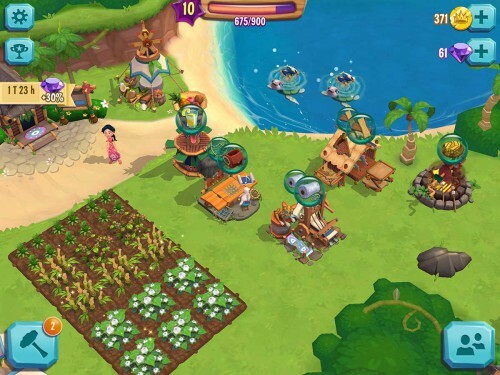 In Paradise Bay you earn experience by harvesting, collecting and selling goods. However, you will at the beginning of Paradise Bay hardly have coins. Our suggestion: Invest initially in production, as they become available. A second turtle is even compulsory (more it should at the beginning but will not be). That way you can directly process the raw materials from the fields, resulting in higher sales prices in Paradise Bay result. A great functionality in Paradise Bay is the free skip of waiting times. If you were in the field or at the production sites, then you can skip this at a certain point even without the use of gemstones. Is the point reached that a production takes less than 30 seconds. Instead of the display that skipping the waiting times cost 1 gemstone (or more), followed by the words “speed up!”. Now you can immediately reap the goods in Paradise Bay. In the course of Paradise Bay Wesley’s Export store is unlocked. Here again in this guide we have prepared several tips, which is the case in almost all games of this genre and therefore should already be known. The first tip is that Wesley’s Export shop is very suitable in Paradise Bay to get excess merchandise from the warehouse. 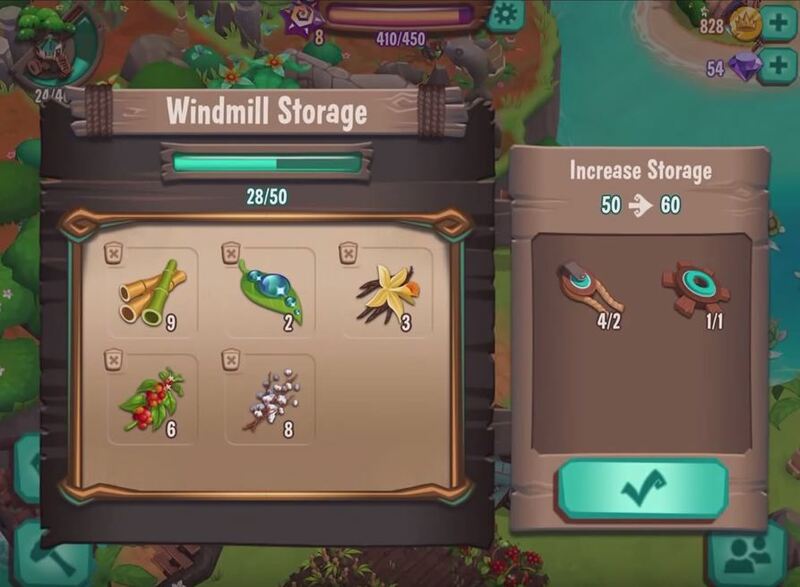 So is your treehouse storage or windmill storage stock fully, you should at the Paradise Bay Wesley’s Export shop create the maximum number of goods per slot to the maximum selling price. Why is it worth it? Even if no other player buys these goods, this is bought at the latest after 24 hours by your islanders and you collect coins. For this reason, it is worth buying even more slots. Such costs 25 gems, however, is a worthwhile investment in Paradise Bay, because you can sell more goods. As already described the bottleneck is the storage in Paradise Bay. So there is for goods from the field the Windmill Storage and for everything else the Treehouse Storage. All too quickly, the storage capacity will be reached. For this reason, you need to increase the bearing capacity. In order to upgrade the Windmill Storage and Treehouse Storage in Paradise Bay, you need more goods, which are only found in treasure chests (or against gems). The storage capacity then increases to 10th each. 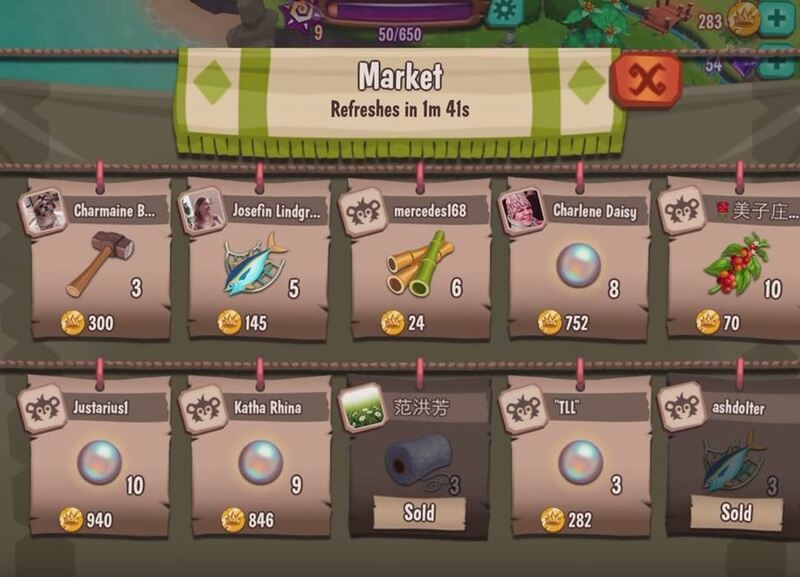 As described in the last advice, it is important to pay attention to the treasure chests, because only this contain specific products that are useful to upgrade the camp. Furthermore, there are also experience points and other goods here. Among other things, you can also find pickaxes and Co, with which you can fell trees or remove stones. If your figures in Paradise Bay level up (because you meet their needs), there is still an additional box or treasure chest. To gain access to free gems, you can throw a look at the achievements in Paradise Bay. The button can be found in the top left. If you tap on this, you can see for what achievement you get how many gems. Have you achieved one of these, you can collect the gems and you will be rewarded. If you have more tips and tricks for Paradise Bay that we have not listed above, so please get in touch in the comments. We will constantly add new information about this app then in this guide. Are there Cheat Codes for Paradise Bay? Often the question arises, if there will be cheats for Paradise Bay. We can clearly say no. The fact that the game is financed via in-app purchases, there are almost never cheats unlike in PC games. So even at Paradise Bay. If you want to progress faster, you need to access in-app purchase. With our tips you should also proceed unimpeded. On the Internet, you often find hacks. We recommend not to use them, as this is not only illegal but also partially stuck with viruses or Trojans, which can cause a lot of damage on your smart phone or tablet. Paradise Bay is a free game app by King for Android and iOS. In this you need to create fields and eject the seed. These goods, you can then further processed in production. So you can produce nets that are required by your turtles for example for catching fish. Ultimately, it’s your job to sell these products for coins to unlock additional game content. In the course of Paradise Bay also new buildings be unlocked where you can sell or buy goods to other players. The characters on your island provide you constantly with new tasks, so it is never boring. Subsequently the links to download the app for Android and iOS. Currently Paradise Bay has not yet appeared in the Google Play Store for Android, but according to the official press release, the release for Android is already shortly planned. We will keep you up to date to the Paradise Bay Android implementation. 47 Comments on "Paradise Bay tips, tricks and cheats for Android and iOS"
I thought I saw something about having a sale did I imagine that? I am stuck with overstock and cannot advance, I’ve already spent money for diamonds but I will not spend tons of money on this game the money I spent lasted 15 minutes. Any suggestions? I can’t remember how to make more fields. I keep trying to figure out where I get them but cannot. Can someone please help? Thanks. Hold your finger on the land plot for a few seconds and then it will allow you to move it. This also works for buildings,turtles, or anything else you have placed. I enjoy it. I haven’ t. Spent any money it is very slow going. I need some friends !!!! Help!?? Go to to world market and click on anyone there then visit them . on their page you can add them as friends to the right of their name. Hi I have people on the island wanting goods but I don’t know how to get them from treehouse warehouse to them. Send them through Wesley’s market. They can pick them up there if they get on you’re page and get them as soon as you put them on. Paradise bay is an marvelous game but its hard to gain more gems! I get a lot of gems. The most Ive had was 82 and that’s from chests, achievements and the giving tree which you can u lock with maps. I don’t spend money on apps but I’ve managed to get very far. 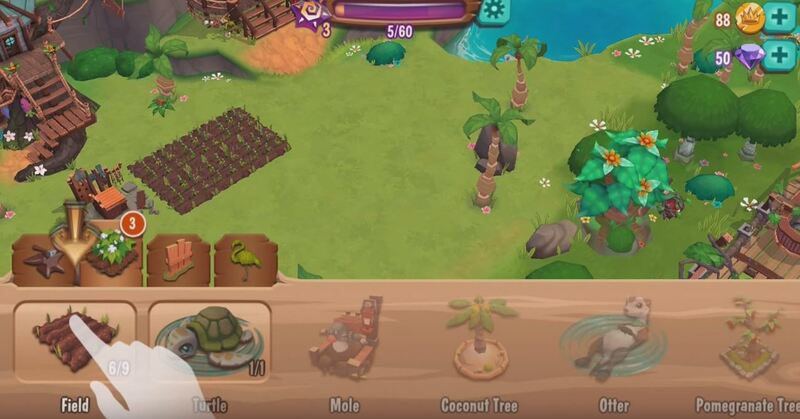 Try and get the giving tree island and you get gems every 8hrs I think it is and find cheats through out your island, some may even be buind items so look out for that. I’m enjoying my game, no problems so far. Just be patient. I have reached level 50 and my game will not advance. The character’s has stopped asking for thing’s in special quest. I also was wondering if the extra island across the bridge will ever open. If you use the bomb on the cave at Root-beer Island a treasure chest featuring hard to find items will appear At the door of the cave every day. Something wrong with Paradise Bay. For 2 days it is impossible to logg in? Marina I’m having same problem! 2 days now! Hope you ate up and running. Mine says, unable to down load remote files, try again later! How can I get rice and sugar cane???? what are the jelly fish for they come up to my turtles are they bad ? Click on the jellyfish to earn experience points. Experience points are used to increase your level in the game. Has anyone found and cheats or hacks ? What do you do with the animal stickers? Where do they go when you gain one? At what level can you repair the bridge between your island and the volcano island? I’m at level 49. How do I get a relationship with Clara and get the campsite at the cave? When do I ever reach level 10? Been here forever! What do I need to do to get passed it or even to it? I have no idea what the bubbles are for?